I am trying to use IPython notebook on MacOS X with Python 2.7.2 and IPython 1.1.0. I cannot get matplotlib graphics to show up inline. I have also tried %pylab inline and the ipython command line arguments --pylab=inline but this makes no difference. And matplotlib.get_backend() shows that I have the 'module://IPython.kernel.zmq.pylab.backend_inline' backend. Both will activate the nbagg backend, which enables interactivity. Edit: Ok, this is now deprecated as per comment below. Use the %pylab inline magic command. 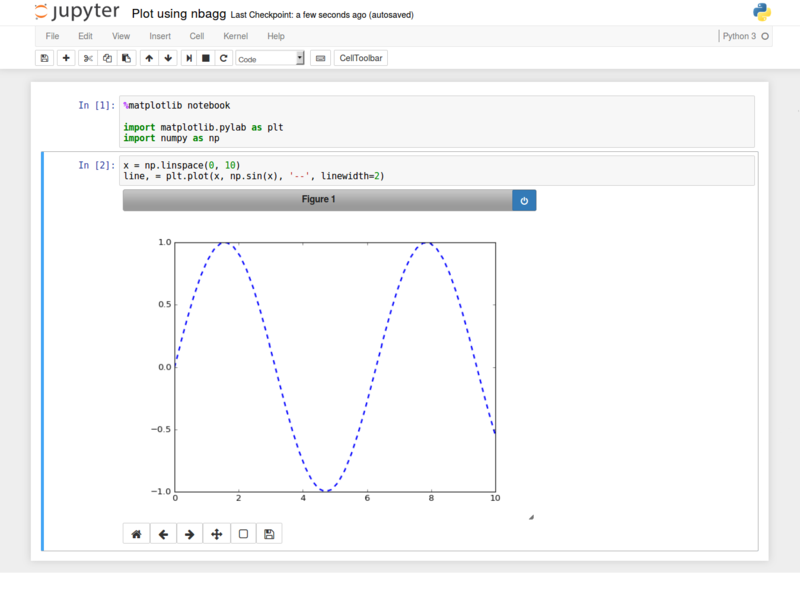 It's now recommended that python notebook isn't started wit the argument --pylab, and according to Fernando Perez (creator of ipythonnb) %matplotlib inline should be the initial notebook command. I found a workaround that is quite satisfactory. I installed Anaconda Python and this now works out of the box for me. On Ubuntu you can remove %matplotlib inline as long as you have plt.show() after creation of graph. You can simulate this problem with a syntax mistake, however, %matplotlib inline won't resolve the issue. First an example of the right way to create a plot. Everything works as expected with the imports and magic that eNord9 supplied. However, by leaving the () off the end of the plot type you receive a somewhat ambiguous non-error. Other than this one line message, there is no stack trace or other obvious reason to think you made a syntax error. The plot doesn't print. Not the answer you're looking for? Browse other questions tagged python matplotlib jupyter-notebook ipython data-visualization or ask your own question. How to change matplotlib backend setting? how to draw empty plot on jupyter notebook instead address? How to make inline plots in Jupyter Notebook larger?